If you have a home or office, located in Bethnal Green and you need the great condition of the floor restored, the best solution is to book a hard floor cleaning and polishing with a respected company, employing experienced and thoroughly trained cleaning technicians. All our customers confirm that the quality we ensure is second to none, while the price rate is kept in the reasonable range. Below, you will see outlined the main benefits of booking with us. If you need more information, don’t hesitate to get in touch with us at any time. 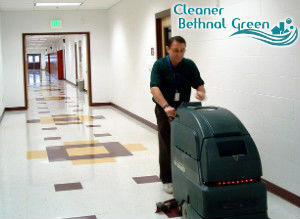 The hard floor cleaning is essential for preserving the good condition of the floor for some more time, so every hard floor cleaning procedure we deliver is diligently carried out. We make an assessment of the floor condition and pre-treat any stains. Attention is paid to high traffic areas as well. 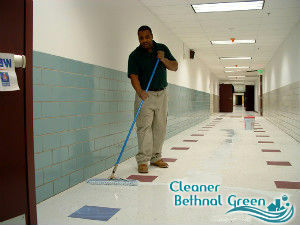 Depending on the flooring material, a special cleaning detergent is applied and then rinsed. In order to “seal” the fantastic look of the floor for longer, a professional polishing procedure is recommended. Our cleaning professionals will fill the cracks and remove scratches with specialised tools and detergents. Any existing layers of waxing or sealing products will be removed. If you are unwilling to compromise with the quality and you never put up with poor professional cleaning services, you’d better contact us and arrange our experts. They cover Bethnal Green, E2 seven days a week. The service can be carried out before or after the working hours of your office or during an official holiday when you are at home.